Arabian Market Intv III System!?! which is transliterated as ʾINṬELLÎVÎZHŌN; with a teth, veth-rafeh, and a zayin-garshem (having a holam point in-between the zayin and its garshem). It seems there were more PAL Intv III than we thought. Not the right thread to discuss this but rev's dstabase has the following intv pal/secam serial numbers. There's probably a series of serial numbers that started at 300k. I'd be surprised if intv made more than 100k pal intellivisions. I probably never scrolled that far down. It never came to my mind that INTV could sell the INTV III outside of North America. I knew that in Italy the Intellivision was quite strong for a longer time. But new consoles? There were still enough leftovers all over Europe. My first Intellivision that I bought in 1984 (just after the crash) was a UK one. 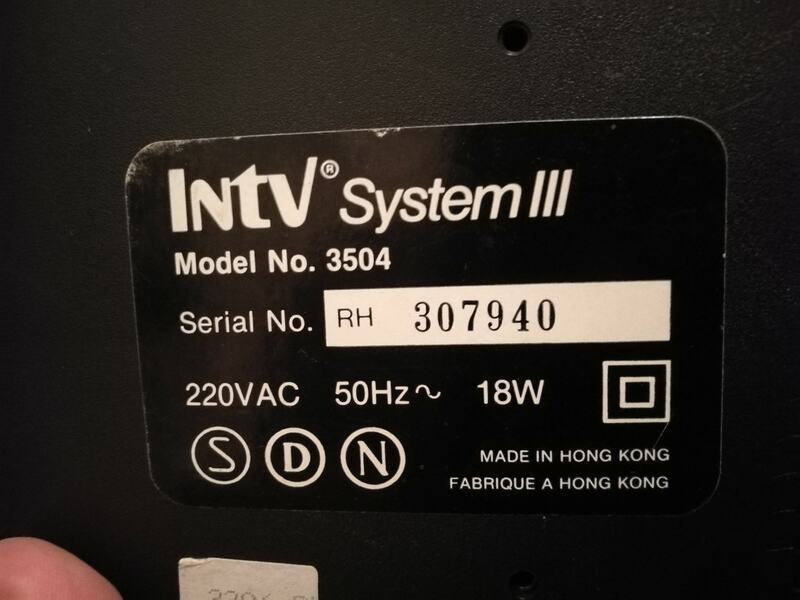 I assume the INTV III PAL consoles are based on leftover circuit boards from the Hong Kong factory and that they just got the INTV label to get rid off. But they had a limited release (Scandinavia?) in Europe. Never seen one in Germany. I just posted a question about that in a general purpose Swedish video game collecting group. The first response I got was that nearly all his Intellivision units (about 10+ in total) are PAL System ///. Personally I don't know so much about that, except that I've seen a reasonable amount of loose and boxed System /// for sale in the past decade. Some might've been US imports but I assumed the majority being European edition and never really paid attention that those would be uncommon in any way. If I remember, the NES was never distribued in some Nordic countries? and possibly no Master System before 1988/90? So maybe there was a sort of vaccuum there for cheap video game and a Swedish importer took on himself to import the Intelli III? I check French auctions on a regular basis in the hope to find a cheap SCART model, and I have yet to see a model III (although to be honest, I glance at the wiring and not at the unit plate, so maybe I missed one... but I kinda doubt it). I spotted a model II once, but it was an US model and the price was just outrageous. Edited by CatPix, Mon Feb 11, 2019 1:40 PM. If I remember, the NES was never distribued in some Nordic countries? and possibly no Master System before 1988/90? I think you can't be more wrong on that matter. While I can't say for sure about Norway, Finland and Denmark, here in Sweden we had Bergsala who were very eager to start selling the Famicom. They had already been selling the G&W games for a couple of years and were very impressed with Nintendo's products. Actually while other importers may have been hesitant, they were negotiating with Nintendo already in 1984 and almost got half a promise they would make a PAL version of the Famicom. However Nintendo changed their mind, possibly due to the Atari agent debacle in the USA, and determined to repackage it as NES and launch it in the USA before Europe. Bergsala however got the rights to start selling the NES in 1986, first market in Europe I think. The Master System also was sold over here by various companies but not in the same scale. The NES was introduced in Germany in 1986. I got mine in 1987. For the first years not by Nintendo themself rather by the distributor Bienengraeber. Btw. this is the list of Intellivision distributers worldwide. Edited by Intymike, Mon Feb 11, 2019 2:20 PM. Which make the French ROB insanely rare since it was sold for 6 month and obviously, sold very poorly. Really interesting to read that you almost got a PAL Famicom. That would have been epic, and probably one of the most collectible item in the Famicom/NES range (since I assume that Nintendo would have switched to NES regardless for the rest of Europe). I can't tell for the surplus thing. if I remember,, INTV appeared in 84? I guess one would need to open your systems, but I'd bet that your INTV III are probably PAL Intellivision I stocks with the new INTV sticker. I'm not sure if one could verify that. There was probably a "transition time" where INTV console would be exactly the same than Mattel's Intellivision. Edited by CatPix, Mon Feb 11, 2019 2:16 PM. @Intymike: Lilliehöök Electronic AB - more commonly known as LEAB - went bancrupt or otherwise lost the Intellivision license somewhere around 1983/84. I believe Speldata who held the Vectrex license as well as selling Suncom joysticks may have suffered the same fate, which is why Bergsala got the chance to take over both, past the prime time. The list is from the Mattel era. It was packed with white international games. My understanding is that INTV aquired Mattel's intellivision stock in 1984 and sold out that year or maybe in 1985. 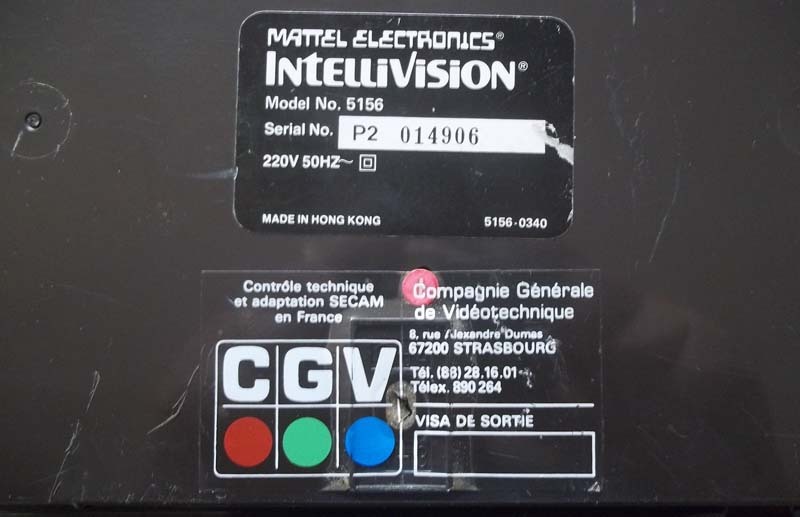 It was in 1985 that INTV started manufacturing new intellivisions, likely using the same hong kong manufacturer mattel used. So yes on the inside they are likely the same as mattel but different plastic molding on the outside. Edited by mr_me, Mon Feb 11, 2019 3:15 PM. And for the stock, still the same, or a new Intellivision III plate added? 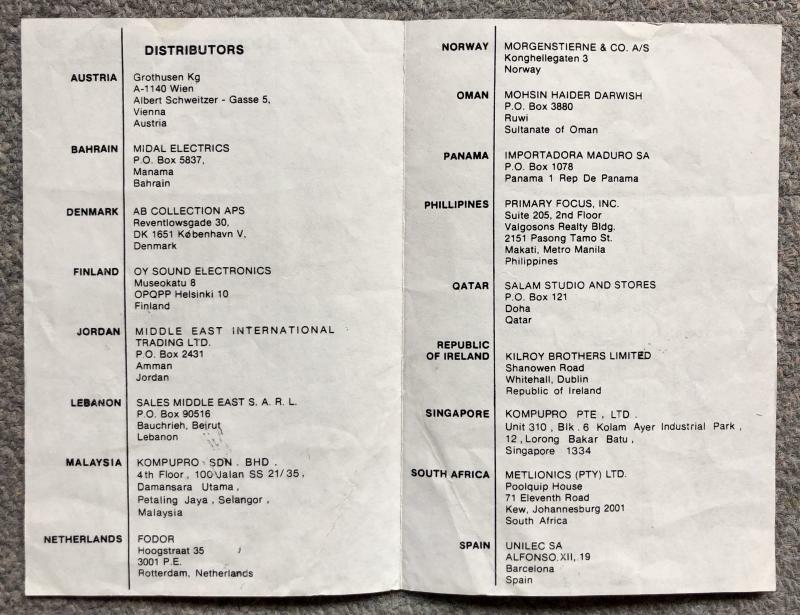 It would be interesting to know which PAL countries got deliveries of Intellivision after Mattel sold it to INTV. Since Mattel never stopped making the Intellivision I PAL because of the delays and cancellation of an Intelli II PAL, they probably had a good stock of them. 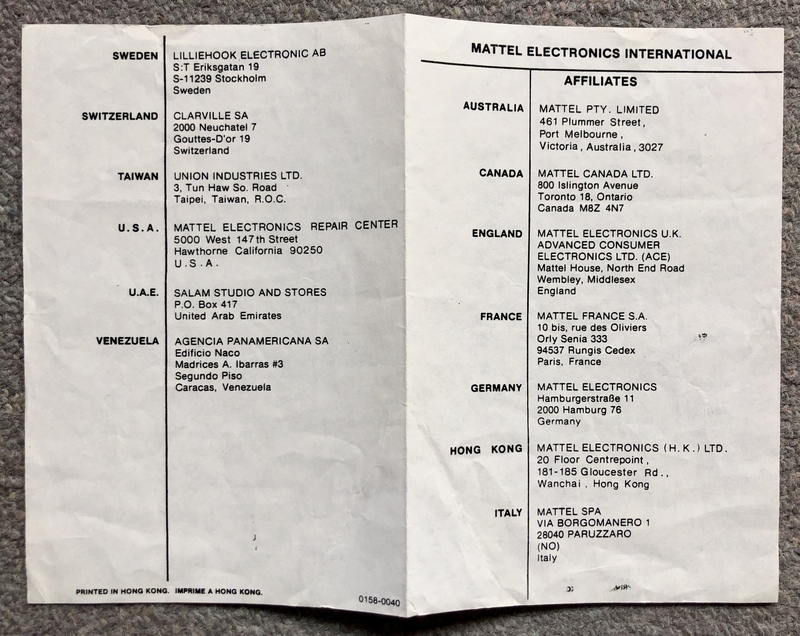 If only a few PAL countries were interested in the Intellivision past 1984/1985, all those Intell III might be "Mattel originals". But I'm just speculating. I find the idea amusing and very interesting. In Germany the remaining stock was sold in 1984/85. After this, it was C64 country. In north america the remaining stock were Intellivision II. Not sure about pal intellivisions; has anyone seen a brown pal intellivision with an intv label? Do secam intv systems exist? Edited by mr_me, Mon Feb 11, 2019 4:05 PM. I checked a bit after reading this, but so far, there isn't any clues pointing to INTV Secam systems existing. There isn't a single trace of an Intelli III in France so far. And thinking about it, the surprising amount of boxed Intellivision (seriously, when I look for used systems, 3/4 of them are boxed) systems might be well explained by Mattel France discarding their stocks of SECAM Intellivision in 1985 for cheap. By law, video systems sold in France must had either RGB or SECAM outputs (at the time; the requirement was probably dropped in the late 80's with things like Laserdiscs being too costly to adapt to SECAM, to be replaced by either PAL, RGB or SECAM RF) so if INTV wanted to keep selling consoles in France after running out of the stock left by Mattel (if Mattel left any SECAM Intellivision stock) they would have do either make them RGB or SECAM RF. Which was probably estimated being too much of a hassle for such a small market. It make me think.... Maybe, and it's a big maybe, RGB SCART Intellivision are INTV-sold models. That would explain their scarcity. But I never saw one with an Intelli III plate, so? I know of one I can check out today, I'll try to get the S/N to see if it's a late run. Edited by CatPix, Tue Feb 12, 2019 5:50 AM. It is serial number RH79357 and based on the chip dates, it might have been manufactured in 1983Q3. The custom mattel chip in these and the ntsc intellivision ii was likely the obstacle for intv to make more of them and reverting back to an older design. But they always have the new intv molded black plastic case. Edited by mr_me, Tue Feb 12, 2019 7:27 AM.